My name is Jon Tota, Founder, and CEO of Knowledgelink. I have spent the last 15 years of my career working with thought leaders to help leverage all of the amazing knowledge in your head. I am not here to teach you how to sell your online courses to mass consumers. There are lots of amazing experts in that space. I have learned from some of the best in the business. These include people like Jeff Walker, Frank Kern, John Reiss and Eben Pagan. These guys are superb internet marketers and their content is excellent. But, my specialty has always been a bit different. I help knowledge experts package and promote their content to big corporate clients. Or as we typically call them, enterprises. The quickest route to building a sustainable online knowledge business is through these enterprise sales channels. I have helped some amazing speakers, coaches, consultants and training companies to build hugely successful online businesses. This is through a proven system for cultivating enterprise prospects into big client relationships. It is truly quality over quantity in this world. I have been doing this successfully for many years. But, many excellent thought leaders are not getting noticed for their expertise. Or, they’re doing many of the right things and just not growing a significant online audience willing to pay real dollars. Are you are a professional speaker with a subject matter expertise and an audience who wants to consume it? Then you should definitely keep reading. There is no reason that internet marketing experts should be doing this successfully while some of the most valued keynote and workshop speakers have not yet cracked the code. That’s why I created this series of articles. I am totally invested in helping to build you an online business. 20 years ago, my partner and I had made a name for ourselves as very specialized technology consultants. But there was a problem. We were the only two in our organization who could deliver the content and handle all the Q&A properly. And, when one of the biggest enterprises in our space wanted our training scaled to thousands of users in 100 offices nationwide, we had no answer. Well, we had an answer. But it involved way too much travel and more budget than anyone was willing to pay for us. So, back in 2001, I decided to shoot some videos of us teaching the content and deliver it online. Yes, it was a crazy plan back in the early 2000s. Honestly, it barely worked in the beginning. But, I was able to come back to that huge client with a scalable solution. It was cost-effective and simple for us to deliver. We charged $25 a month per user for the entire online course. My client registered 500 monthly users on the spot. Our online business was off and running. Since then, I have helped hundreds of thought leaders sell their content libraries to big clients all over the world. Together, we have trained hundreds of thousands of people in the process. It’s been amazing to witness the success of our clients and partners. 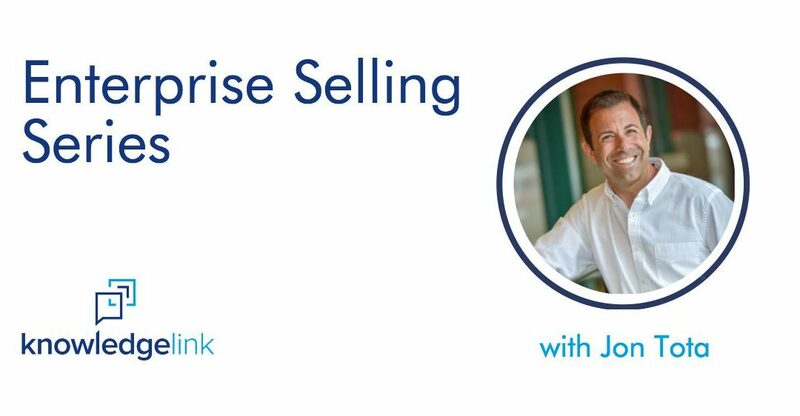 I am beyond excited to finally share some of these enterprise selling secrets. As you read the next articles in the series, you will learn the difference between a strip mall and a shopping center, and what that means to your online business. You will also learn how enterprise customers are so very different from your retail prospects. And finally, the one thing you need to deliver to an enterprise buyer to get them to actually say yes. Look for the next article, where I’ll share a little more about my background. I’ll also share a lot more about how each of you can anchor your online business with the valuable enterprise clients you want to reach most.